Five French mountain climbers have been found dead after they went missing Tuesday while climbing Mont Blanc, Europe's highest mountain. The bodies of the five climbers were found by a rescue team on the mountain’s Aiguille d'Argentiere peak on Wednesday, reports the BBC. 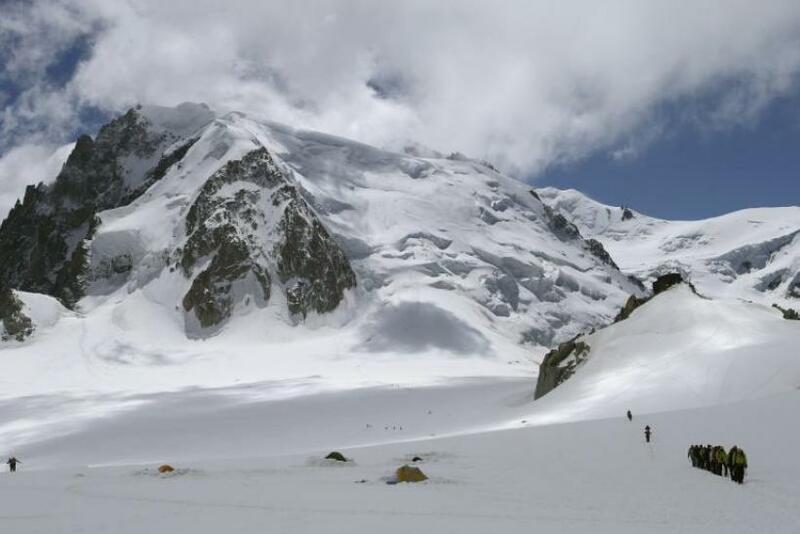 The French mountain rescue service said the victims were between the ages of 27 and 45. A sixth climber, the guide who was leading the expedition, was spotted at the bottom of a crevasse, the Associated Press reported. The group of four men and one woman were participating in a scheduled climb when bad weather hit the range on Tuesday evening, reports The Guardian. They were ascending the Aiguille d'Argentière with their experienced guide when they went missing. The climb was part of a two-week mountaineering course held by the Union Nationale des Centres Sportifs de Plein Air. They were reported missing when they failed to return to the group’s mountain shelter. An attempt to use a rescue helicopter to find the climbers on Tuesday night was called off due to the weather. Rescuers resumed their search on Wednesday. The climbers’ deaths make it a total of 13 Mont Blanc climbers that have died on the range since July 15.